to come as you are. this experience brings diversity, intersectionality and community through hearing the voices of all women. to lead with compassion & empathy for those who have ever been marginalized or underrepresented. to tear down the female-competition stigma with humility to see yourself in all women. to harness fearless self-love and acceptance. lifelong tools that will carry you long after the conference. OUR PRESENTING SPONSOR, 21c Museum Hotel, IS ALLOWING THIS CONFERENCE TO EASILY BE THE BEST ONE YET BY BRINGING you a weekend like you've never experienced IN OKLAHOMA CITY. With this year's theme being self-service we knew it was important to bring in the ultimate venue for relaxation, excitement and beauty. amazing food, incredible art, terrific people + beautiful downtown views. ENDLESS COFFEE FROM MARYEDDY'S ON SAT. All speakers, attendees and partners get into the party ONE HOUR before the public with one guest. There will be glitter, treats, red bull & disco balls. You don't want to miss it. Bee is a giver of useful information. She inspires. She's a Suicide Survivor and Advocate. 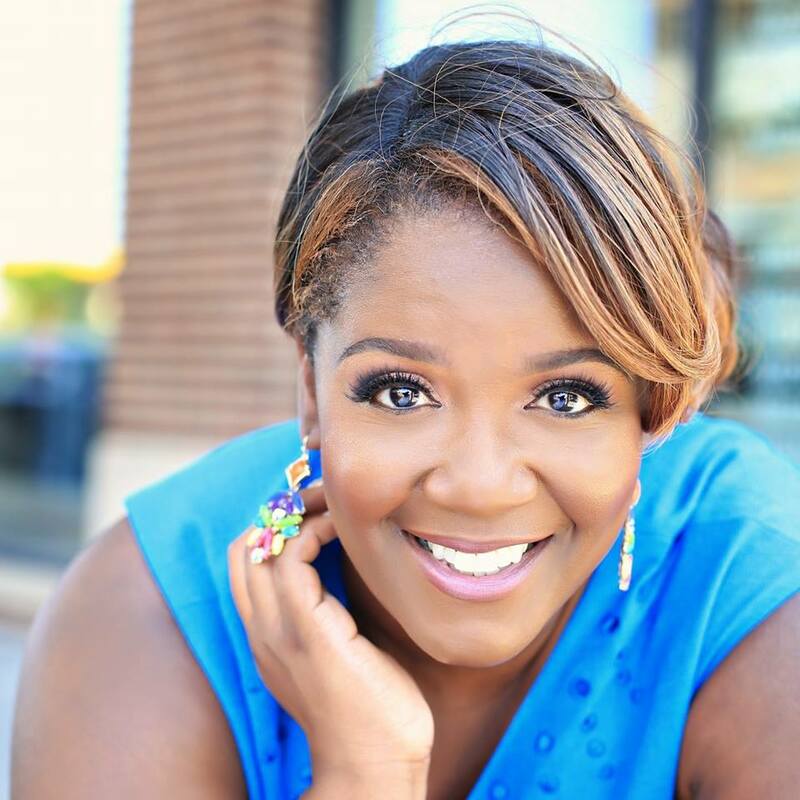 She shows up in the world as a Speaker, Author, Publisher and Live-stream/TV Personality. She provokes confidence in others by living her truth as a survivor, and helping others who struggle with their mental health see that you can overcome and move forward, regardless of what you have endured. She believes all have a unique purpose to fill on this earth! Talking and sharing our struggles evokes confidence to move forward. Malorie is a creator, encourager, passionate life liver, truth seeker, empire builder, woman, mother and wife. She shows up in the world by being fully present in every moment and unapologetically authentic. She lives a life to serve others. She gives all she has to give to fill the hearts and souls of the people that are around her. She thrives when those around her are able to thrive. She evokes confidence by teaching people how to value themselves and truly show up for themselves first. Julie is a kindly badass. To her that means: she works hard to get what she needs (and sometimes what she wants), but not at a cost to others. She uses her power for good. She's a mom: two hairless and two furry. Wife of Kasey; sister, aunt, daughter, friend, marketer. 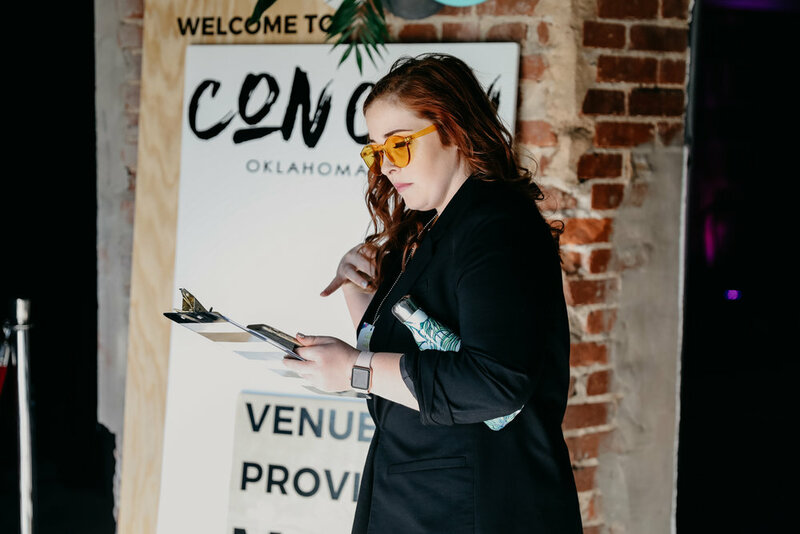 She's had the opportunity to connect people with OKC's top local businesses as head of marketing + community for Yelp OKC. She provokes confidence in others by sharing what she's learned with others any time she is able. She believes that her vulnerability and transparency are her best avenues for helping others. Hui Cha Poos has been teaching and sharing her love of dance with students for over 20 years. She is currently an Instructor of Dance and serves as head of the Jazz Department at the University of Central Oklahoma. Hui recently earned a Masters Degree in Secondary Education from UCO and was the recipient of the John C. Westerman Award. Her experience with musical theater began in Oklahoma at Lyric with such shows as A Chorus Line and Peter Pan. Bailey is a #BlackGirlMagic filled, millennial professional committed to addressing social problems through public policy, civic engagement, and community collaborations. She shows up by using her voice to inspire and empower others. Sometimes, it's in the form of civic engagement, public policy advocacy at the capitol, and social justice and other times it's through song at crucial life events. She provokes confidence by pouring love and encouragement into others and doing her part to help dreams become reality. Sarah is a 23 year old Creative Consultant living in OKC! She enjoys long walks by the Devon, and helping people get where they want to go. She shows up in the world by letting her character speak through her actions, loving before judging, and listening before speaking. She provokes confidence in others by asking questions that get them excited about life all over again, encouraging their endeavors, and acknowledging their growth. Maggie is a mom, a wife, a journalist, information junkie, an adventurer, a homebody, and a student of self-improvement. She provokes confidence most often through the eyes of her daughters. They find confidence in seeing her in a public role and working for the family, while at the same time always showing up for them. The person reading to them and cheering at their games is the same person they see on tv and working on stories at the dining room table. She believes this will show them what's possible in a work/life balance. De’ana is the founder and creative director at The Modeling Standard. An online space that is built on a foundation of diversity and inclusion. The place what is most important is content that educates, informs and inspires women to build lifelong healthy relationships with themselves through visuals. She utilizes the authenticity of her story of fighting through adversity in the modeling industry and work place as a police officer for 5 years. She don't hold back being open and honest online and offline about the power self-confidence and self-care has. She provokes confidence in others by showing them that it can be done. Whatever it is that they dream of doing, they can achieve it. She does this by speaking positive and uplifting stories. Sharing who she is openly and boldly. We're still adding to our sponsor list to make our OKC conference the best yet! Donate swag to our love bags or sponsor crucial parts of the event such as our Creative Marketplace, Hospitality, and more! We seriously couldn't make this event happen without our partners. By supporting our mission, you are enabling us to lead self-identifying females to create deep impactful changes across the country, by starting with the state of confidence in women across Oklahoma. Feeling called to contribute to empowering badass women?